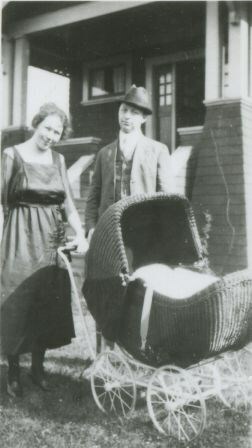 "Burnaby - 4000 Block Cambridge Street"
Photograph of Mr. and Mrs. George Carpenter with daughter Bea Carpenter in a baby carriage in front of their 4000 block Cambridge Street home. 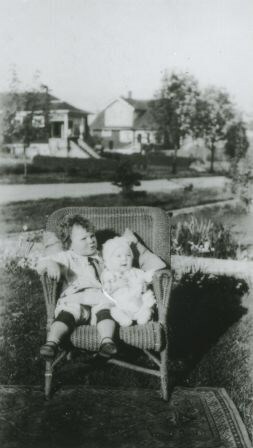 Photograph of siblings Bea and Don Carpenter seated in a chair at the front of their home on the 4000 block of Cambridge Street. 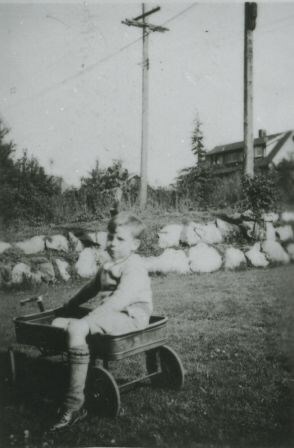 The photograph was taken facing the street. Note the carpet in front of the chair.